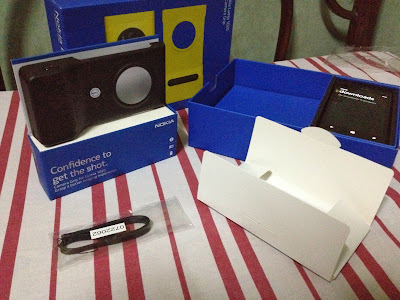 Read on to see the contents of the box. Top side - you can see the physical shutter button (with red dot). The physical buttons of Lumia 1020 are also accessible except for it's own shutter button. 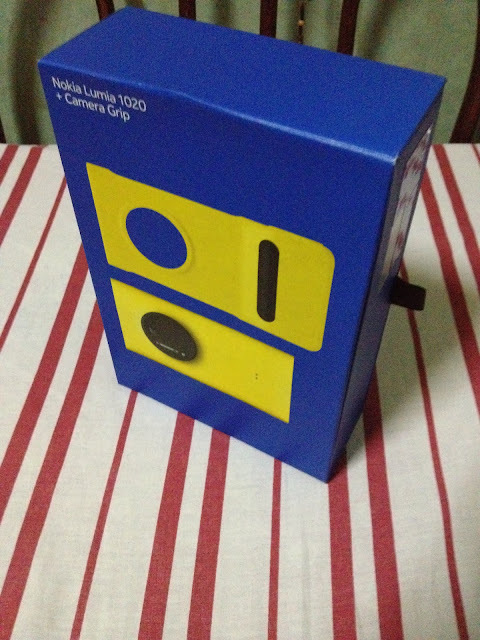 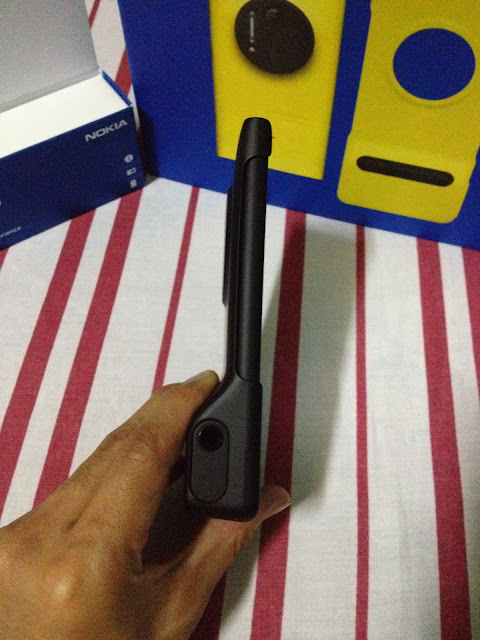 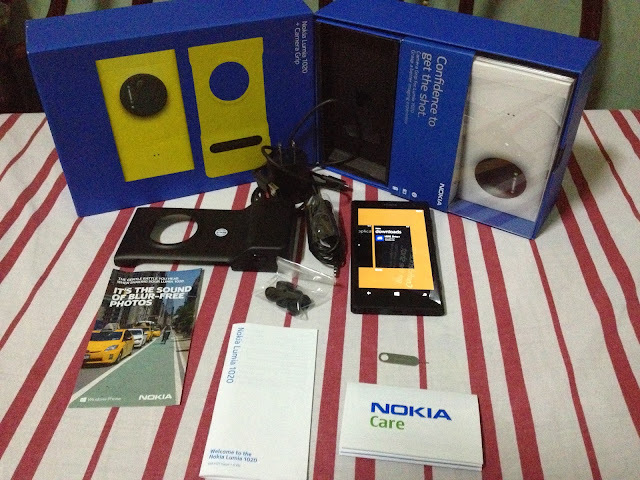 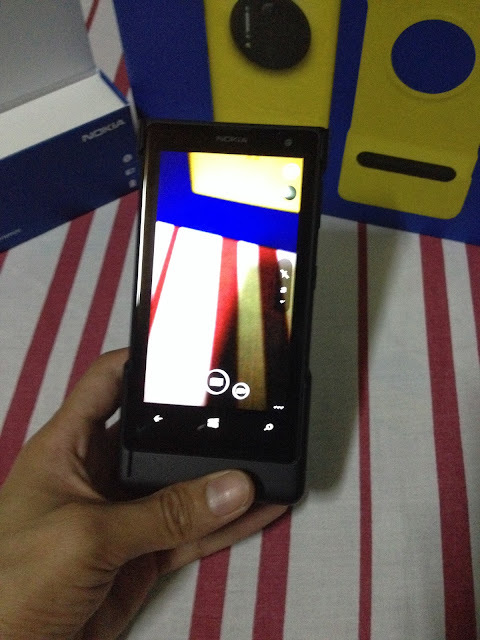 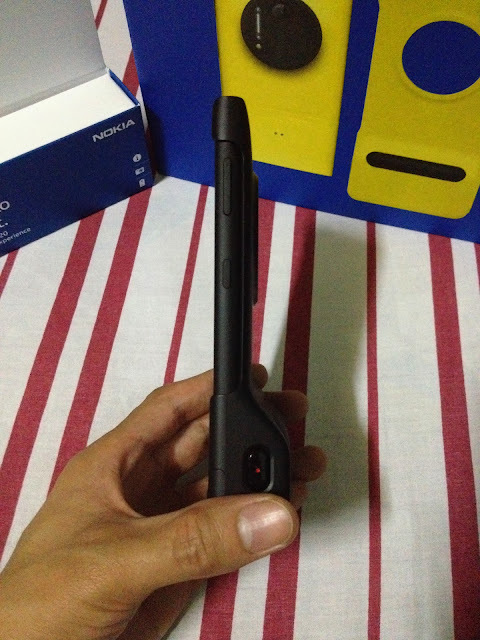 This is the whole set of Nokia Lumia 1020 + Camera Grip package being sold here in the Philippines. 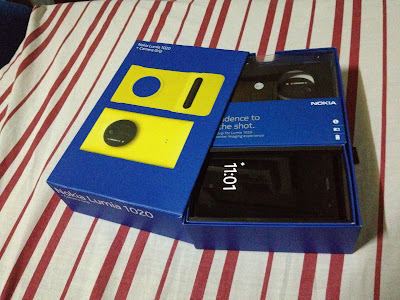 The contents are Charger + USB Cable, In-ear headset + interchangeable buds, Nokia Lumia 1020 Manual , Nokia Care booklet, Sim Card slot opening tool, the Camera Grip package (incl the lanyard and manual) and of course the Nokia Lumia 1020 unit. 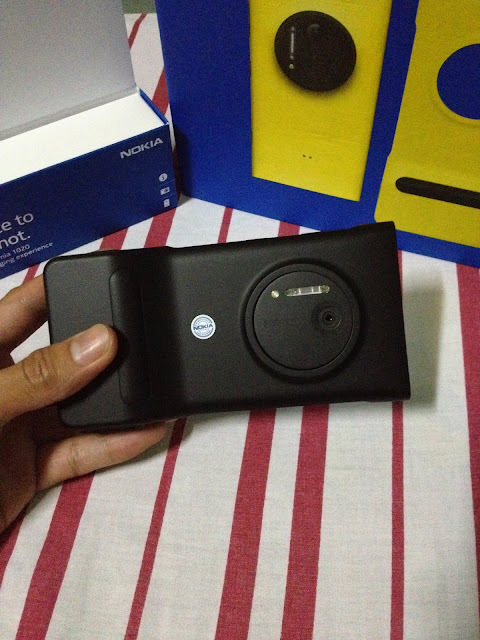 I chose the black over white.